We started giving Emma carrot juice (!) 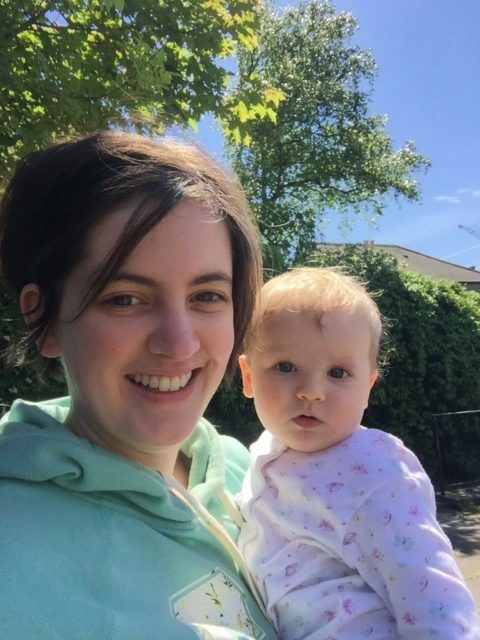 at around 5 months and 3 weeks, at the recommendation of a paediatrician, after her blood tests revealed she had a minor anaemia (lack of iron). I tell you… who starts weaning at that age and with carrot juice? Where’s the iron in that? I had not read the theory, I was not prepared. I had some leaflets from the health visitor and all the internet at my disposal. Yet, I didn’t read. I wish I did. I wish I waited before following the doctor’s advice. Now, what should I have looked out for before I started giving my baby anything else besides breastmilk? Does baby stay in a sitting position unaided and does she hold her head steady? Sitting unaided is important. It means that food is likely to go down the pipe rather than get stuck. Imagine you trying to eat while laying down. She was holding her head steady from around 3 months? so that wasn’t an issue with us. Does she coordinate her eyes, hands and mouth, in order to eat by herself? Picking up food alone is not enough. My mom calls this sign the “primate instinct”. Baby needs to figure out that food is for eating. This one is pretty obvious. There’s no point in putting food in the mouth if she’s pushing it out with her tongue. Emma used to do this in the beginning, a sign she wasn’t ready to switch to solids just then. I am still amazed to look at the cereal section for baby food and see there “from 4 months”! I blame this on the 17 week milestone of a baby’s digestive system being fully developed. 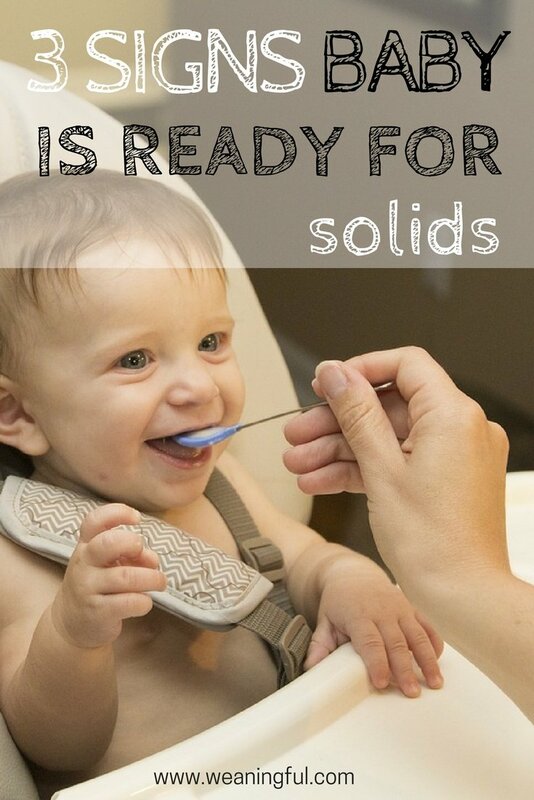 So hitting the 4 month (or any month mark for that matter) should not mean baby is ready for solids. 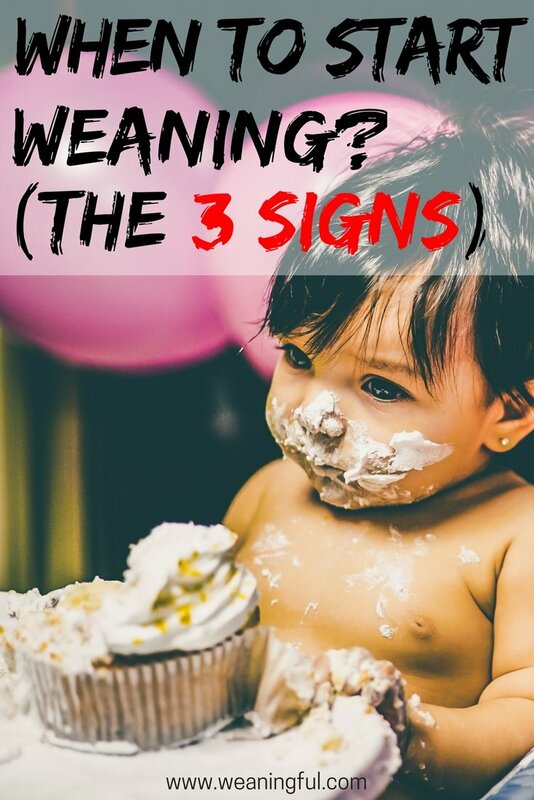 But what other signs are mistaken for weaning readiness? Normal behaviour. I was told children will wake up during the night until about 2 and a half years old, when all their teeth will have come out. It’s not a sign she is hungry, or your milk flow has decreased or your milk is not enough all of a sudden. Yeah, right. Just because she’s interested in a knife for example, doesn’t mean you should give it to her. Babies are curious, it’s in their nature. They discover new stuff everyday. Normal behaviour. She might be teething and looking for comfort. She might be going through a growth spurt. Milk doesn’t stop being enough all of a sudden, like I said above. She might be thirsty when it’s hot outside. These are just some of the things that come to mind now. Even if baby hits the 6 months mark, she might not tick all the signs that I mentioned in the first part. So my advice is to look at those weaning signs instead of the actual age. If I had waited, I would have begun weaning Emma at 7 months. 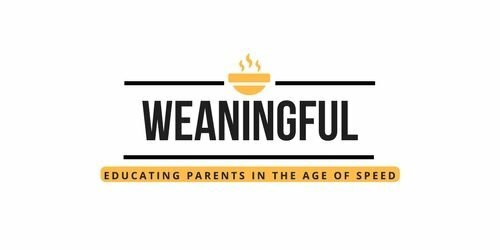 What is your experience with starting weaning? Did you listen to a well-informed doctor or did you make a mistake? I would really love it if you shared this post on social media, so that other moms are better informed and don’t start too early. And to make sure you are on your way to success, I have put together my 5 top weaning tips, which you can get below, to help you along your weaning journey. I support exclusive breastfeeding until at least 6 months and starting weaning only when baby shows all three signs mentioned above. I will not go into a discussion about why some moms decided to start early because they were advised by a professional to do so. Some doctors are not aligned to the most recent recommendations from the WHO and thus might offer wrong advice. I know there are some babies that acquire the ability to sit unaided early, however they don’t necessarily tick the other two boxes.